Riding on unfathomable volumes of industrial expertise, we are providing a broad array of Safety Helmet. Electrical properties: VDE-tested ( 1000 V). 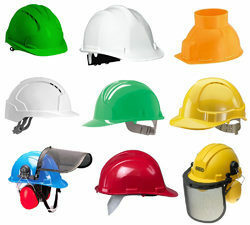 Aimed at prosperous growth in this domain, we are instrumental in offering an excellent quality range of Safety Helmet. We are counted amongst reckoned names in the industry, committed towards providing a wide gamut of Safety Helmet. Being a foremost organization in this industry, we are actively engaged in offering the finest quality range of Labour Helmet. 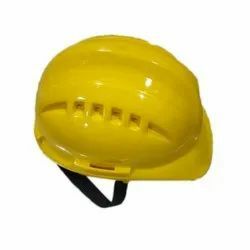 'SHAH' Tough hat is an industrial Safety Helmet made of high impact, heat and chemical resistant HDPE polymer with 6-point adjustable and comfortable head harness with high absorption and washable sweatband. High Tensile Nylon chin strap with special structure brim design. Front contour to print suitable logos. Unique slide clips for chemical splash goggles attachment.